Portable Efficient To-Do List 3.70.0.366 - Download Win Apps. Elegant and handy to-do list manager, powerful yet easy-to-use. 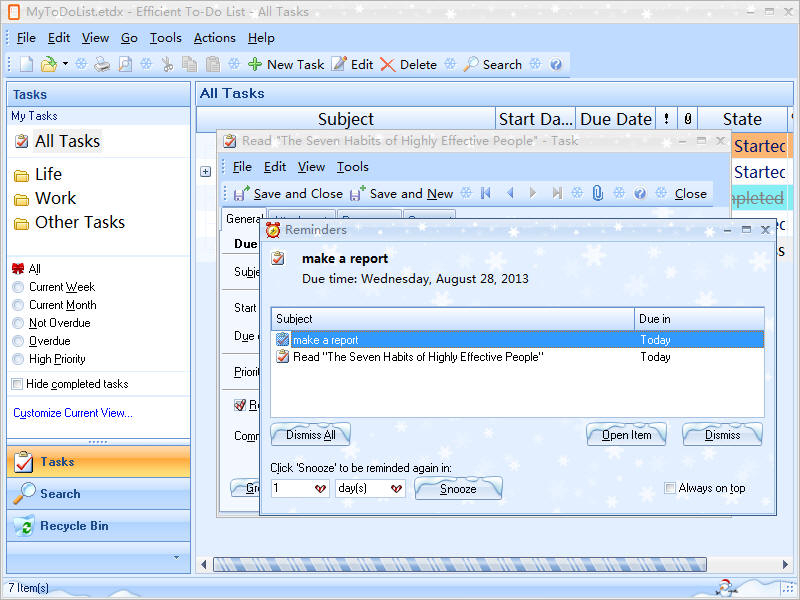 Efficient To-Do List is an elegant task management software package. The software makes every effort to assist you in following the "First Things First" principle. It reminds you before a task starts or is due, helps you resist the temptation to "drag on" and brings you the sense of on-time job accomplishment. Use this handy software to improve productivity and experience the joys of salary boom and promotions right now!